There’s no word that is music to my ears quite like “sale,” so let me start off this post with it! 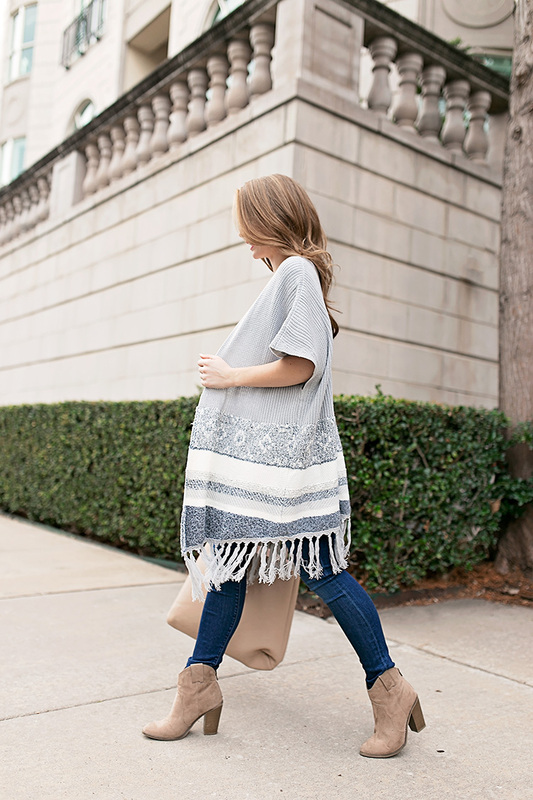 This cute grey poncho (that also comes in a gorgeous tan shade) is on SALE! And at 40% off, no less. And when it comes to transitioning out of winter and into spring, one of these babies is an absolute must-have. I’ll be the first to admit that I am not the best at layering. Perhaps it has something to do with growing up in mild Texas winters, but I never had to learn the art of mixing and matching different cozy pieces. (A pull over sweatshirt is usually all you need around here.) But that’s why I love the style of these bohemian-esque ponchos… throw them on with a simple white tee and booties, and you automatically have a chic, layered ensemble! No fuss required. Apart from the fact that we’ve made it past Monday (which was an especially long one for me) today is the most special day! My baby sister turns 21! So HAPPY BIRTHDAY STEELE! I love you and hope your day wonderful in every way! (Fun fact – I think she’s still completely unaware that I have a blog, so the chance that she actually sees this heart-felt message is slim to none. Ok, none.) We had the best time in College Station yesterday, celebrating with mani/pedis, yogurt and dinner. Oh, to be a junior in college again! Love the cape! Perfect layering piece. Happy birthday to your sister! Need this poncho in my life! I love the camel version of it too! HAPPY BIRTHDAY to your sister! What a beautiful layering piece! This is such a cute look!! 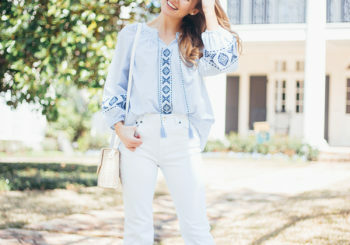 Fringe is one of my favorite looks recently, and you’ve inspired me to go try it out now! !